Straining full-fat yogurt in muslin overnight thickens its consistency so it does not curdle at higher temperatures when cooked. Since you’re removing liquid, this process will reduce the volume of yogurt so always start with double the amount called for in a recipe. • In a large bowl, mix the chicken chunks with lime juice, salt and red chilli powder. Cover and leave to marinate overnight in the fridge. • Pan-sear the chicken over high heat in 2 tbsp oil till golden brown. In a separate pan over medium heat, lightly toast the: cloves, peppercorns, cinnamon, bay leaves, almonds and cardamoms till fragrant, about 5 to 10 minutes. Grind in a food processor to a coarse powder. • Mix with the strained yogurt, coriander powder, cumin and turmeric. Add to the seared chicken and let sit for 1 hour. • In a deep heavy-bottomed pan with remaining oil, fry the onions till they turn a pale golden brown, then add the ginger and garlic pastes. Fry until fragrant, about 3 to 4 minutes. • Strain the chicken from the yogurt mixture and add to the pan. Fry until the meat is cooked, about 5 minutes. Stir in the tomato paste, chicken stock, kasuri methi and leftover yogurt mixture. Cook till chicken is tender and the gravy has reduced to half its original volume, about 20-30 minutes. • Melt the ghee in a separate sauce pan and drizzle over the chicken. Garnish with coriander leaves and serve hot with steamed rice or naan. 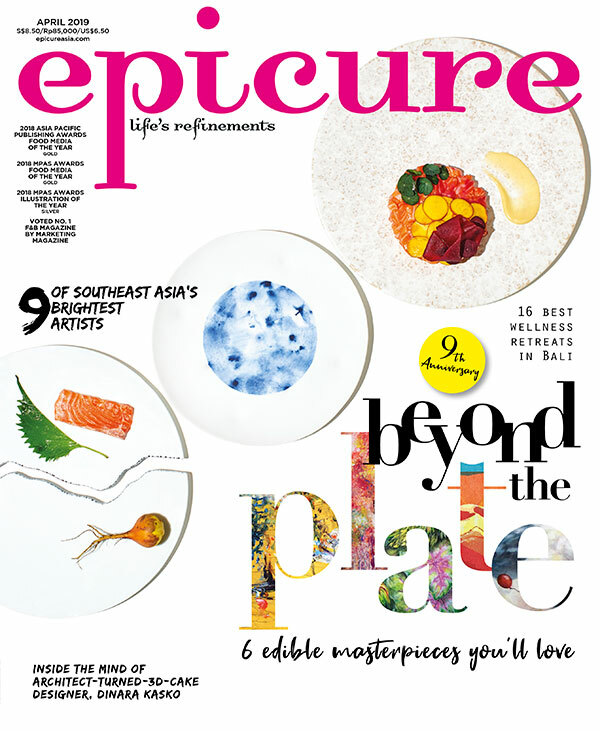 Excerpt from the November 2013 issue of epicure.